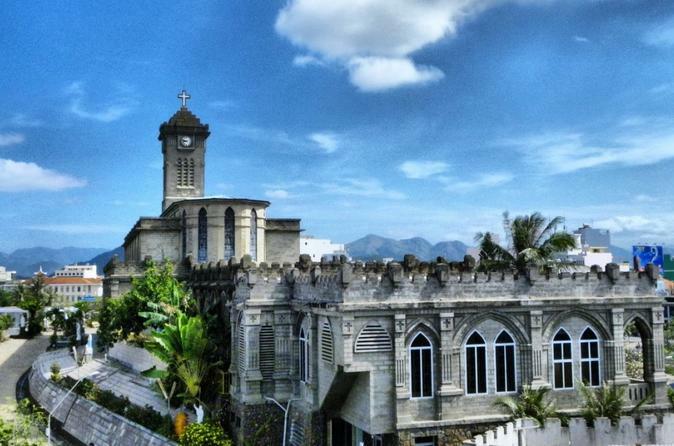 Nha Trang is not only famous for its beaches. 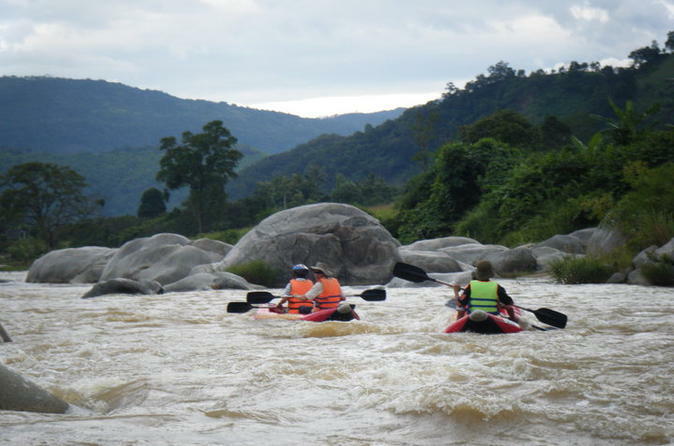 Join in one day tour to discover its nature with fun & challenging rafting downstream. Pick up at your hotel at 9.00 AM, then transferred to the start point for rafting (45km from Nha Trang) where resided by most minority people. Upon arrival, once you are refreshed and ready to go, you will start raft downstream about 8km on Cai River, there you have about 6 rapids and small falls to run (the river is purely clean and safe). BBQ lunch is served on the riverbank surrounded by immense orchards. 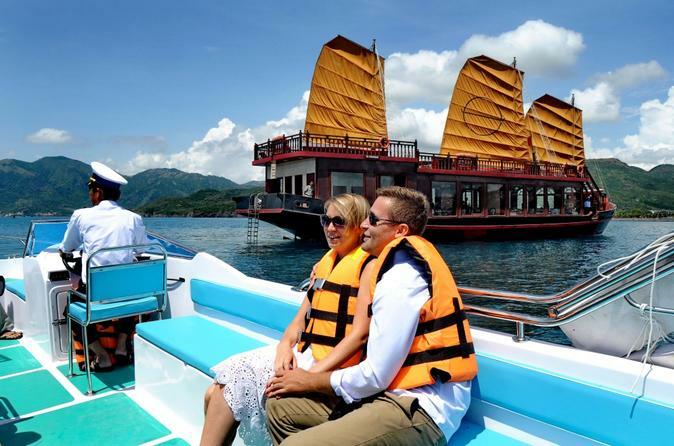 Enjoy this day tour and visit Nha Trang and let your guide show you numerous attractions in Nha Trang City. The highlights of this tour are Cau Da and its Vietnam Oceanographic Institute, Stone Church, Chong Promontory Rocks and the Po Nagar Temples. The tour ends with a visit to local Dam Market. 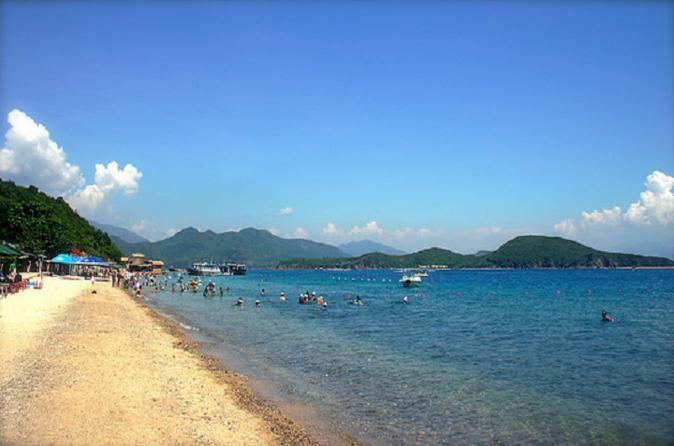 Nha Trang is known for its white, sandy beaches, turquoise waters and beachfront cafés. 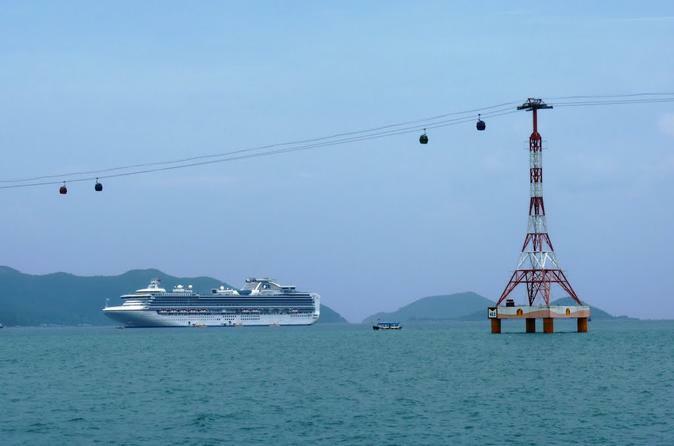 On this private shore excursion highlights, you will spend the day discovering the delights of Nha Trang City, one of the most famous destinations in Vietnam. Tour the Oceanographic Institute, visit the famous Long Son Pagoda and the Hon Chon Promontory, and marvel at the Po Nagar Temple complex. After a visit to this celebrated site, cap the tour off with a short trip to the local Dam Market to browse the goods. Lunch meals also included at a seaside restaurant. Enjoy a Nha Trang getaway with the Emperor Hideaway, a result of our passion to create experiences with genuine Vietnamese hospitality, royal glamour, history and heritage of our last emperor, King Bao Dai. 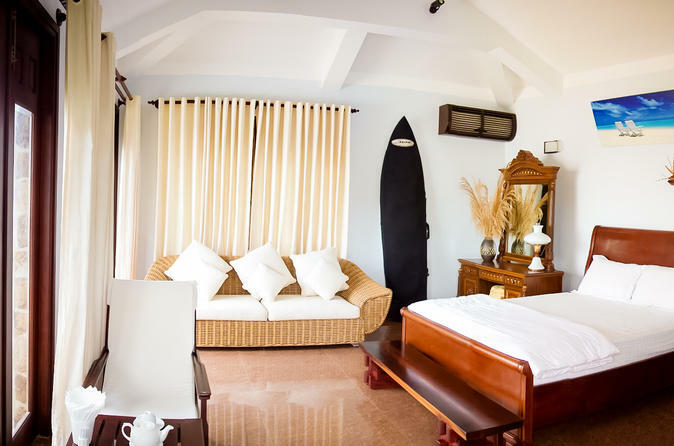 We wish you to explore, soul search, and discover our concept for a 2-night escape by the bay in a true secret hideaway, located in Mieu Island, Nha Trang Bay, Vietnam. You’ll stay in our private villas fit for a royal family in either one of our King or Queen Suites with uninterrupted ocean views, ultimate privacy, and ultra personalized services with private butlers available anytime, anywhere. Nha Trang city, a small city on the south central coastline of Vietnam, is a famous beach city of Vietnam. 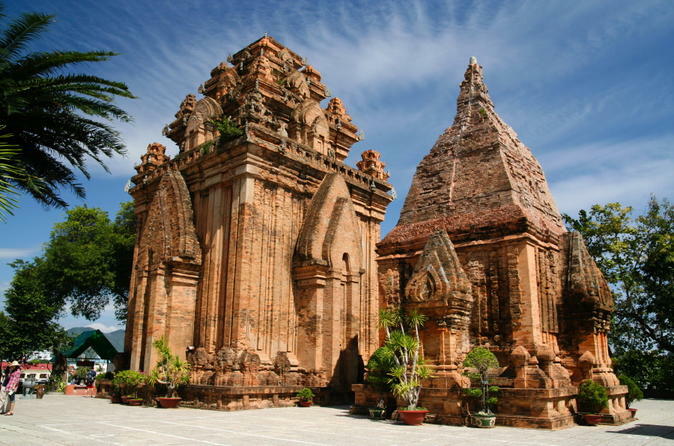 Travelers like to travel to Nha Trang, not because of its beach, but also by its historical relics from Cham civilization represented as Po Nagar tower, a sacred Hindu site dating back to the 7th century, Stone Church built in French colony time, to Long Son Pagoda - Buddhist pagoda built in commemoration of the monks and nuns who died whilst fighting the Diem Government. We will have a half-day city tour to visit these places and have time to go shopping at Dam Market and enjoy Vietnamese coffee at a local coffee shop. Nha Trang has a long stretch of beautiful coastline; miles of white, sandy beaches with mountains at each end, framed by the dramatic backdrop of mountain ranges, as well as several other good beaches close by and with more than 19 islands off the coast, this is truly an amazing site for an island tour. Beaches here are any beach lover’s dream with their white sand. 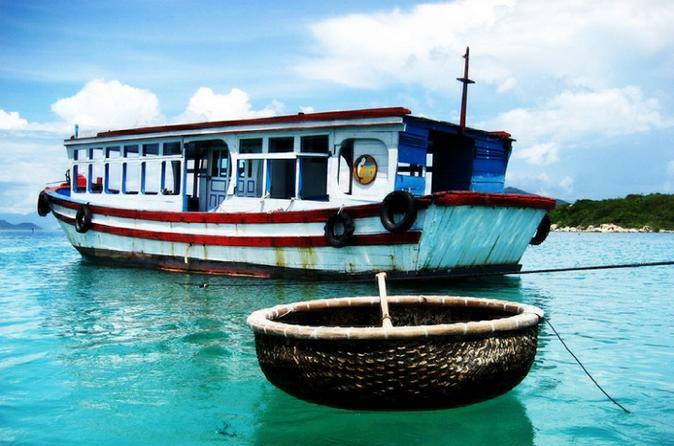 Experience our boat trip and explore the surrounding islands. It would be the most relaxing tour for those who might be a fisherman if making a choice of the tour at Nha Trang’s sea. In a city renowned for seafood based meals, here's your opportunity to catch your own lunch. Whether you love fishing or just fancy a leisurely day bobbing on the surf of the sea, our special fishing tours are not to be missed. Or if you just looking for a moment of peace and quiet without throwing in a line in an effort to catch the ‘catch of the day’, then this tours certainly will be one you cannot resist. 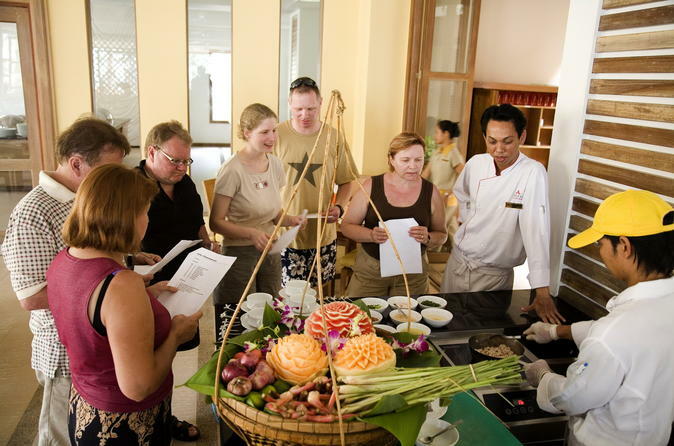 This tour is designed for the tourists who want to learn more about the Vietnamese culture and cuisine: Join in a cooking class to learn how to make a traditional food of Vietnam and visit countryside in the afternoon. You will have a fantastic chance to observe beautiful scenery of green fields and the peaceful life of the countryside.